The BCom Case Competition is a campus based competition designed to complement the International Case Competition program, providing a greater number of students the opportunity to participate and develop case competition skills. It offers an opportunity for you to test your business case solving skills, receive training from and network with corporate sponsors and get hands-on experience as a management consultant. Plus the opportunity to win amazing prizes including a share in $5,000 cash, guaranteed interview for the International Case Competition program, and a guaranteed interview for SPP's graduate/internship program. Students enrolled in the Bachelor of Commerce, 2nd year and above including Honours. Applications for the 2018 BCom Case Competition have closed. Please check back in 2019. Monday 29 July: Launch Case Workshop for all registered participants, 6:30pm-7:30pm. First Case released. Friday 9 August: Crack The Case Workshop for top 15 teams, 6pm - 8pm. Second Case released. SPP is a high-impact consulting firm that partners with senior executives to overcome complex strategic and operational challenges. From high-growth SMEs to to some of Australia's largest businesses, SPP works closely with clients across a broad range of sectors to deliver practical results with a tangible outcome. SPP brings a customer-focused, nimble and highly skilled team with a rigorous and consistent approach to projects to help clients improve and grow. Their work ranges from strategy development, market research, business case development, and inputs to policy, through to the implementation of organisational improvements. 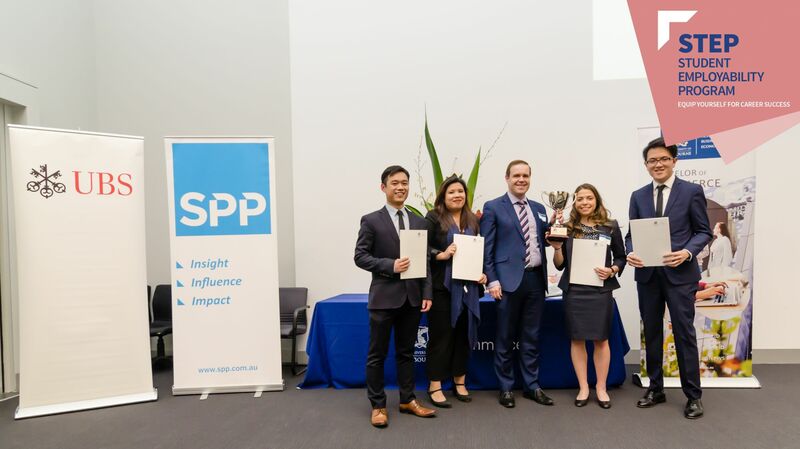 SPP has been a longstanding partner of the University of Melbourne through sponsorship of the University Case Competition, employment of undergraduates, as well as being a leading recruiter of MBAs from the Melbourne Business School. UBS provides financial advice and solutions to wealthy, institutional and corporate clients worldwide, as well as private clients in Switzerland. UBS' strategy is centered on our leading global wealth management business and our premier universal bank in Switzerland, enhanced by Asset Management and the Investment Bank. The bank focuses on businesses that have a strong competitive position in their targeted markets, are capital efficient, and have an attractive long-term structural growth or profitability outlook. 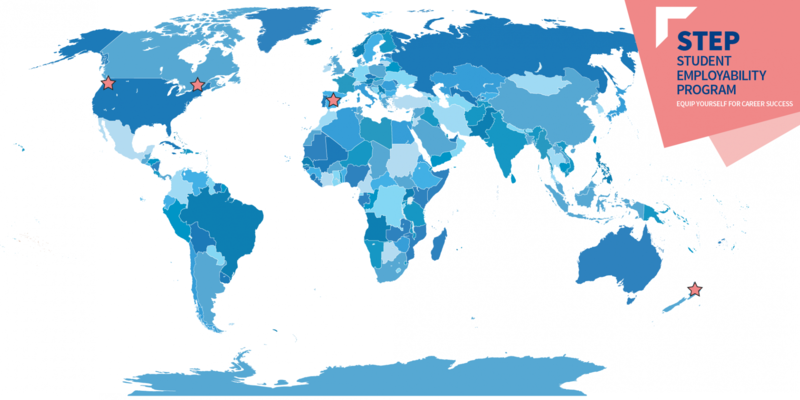 Headquartered in Zurich, Switzerland, UBS has offices in 52 countries, including all major financial centers, and employs approximately 60,000 people. UBS Group AG is the holding company of the UBS Group. Under Swiss company law, UBS Group AG is organized as an Aktiengesellschaft, a corporation that has issued shares of common stock to investors. The Faculty of Business and Economics attends some of the best International Case Competitions in the world. We have sent students to dozens of exciting destinations over almost two decades, and next year it could be you! In 2018, our teams competed in Auckland, Los Angeles, Oslo, Vancouver, Montreal and Bangkok. Read all about their experiences in the FBE Newsroom. Have at least 25 credit points remaining in your degree (including Honours) in Semester 1, 2019. You MUST be available on Wednesday evenings and weekends for training between 17 November and the date of the competition that you are selected to go to. Interviews will take place on Friday 5 October. You must be available all day, as interview times will be randomly allocated. Applications for the 2019 International Case Competition program have now closed. Please note that you need only submit one application form to be considered for all competitions. If successful in your application and interview, you will be placed in a team designed for one specific competition/destination according to your team's strengths. Describe the personal attributes and skill set that you will bring to an international case competition team. All accommodation for every competition is paid for by the Faculty. Participating students also receive a bursary which covers the cost of flights and sundries. The UniMelb StartUp Pitch competition brings together students from across the University for a chance to pitch their startup idea to a panel of Australia's most prominent Angel Investors and Industry Experts for feedback and prizes! UniMelb StartUp '17 has now concluded. Please keep an eye on this page for more information about UniMelb StartUp '18.